The Friends polo shirt with our logo embroidered on the left front is available for $20. 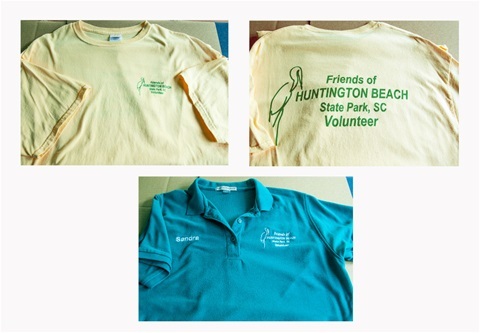 The polo shirts come in either teal with a white logo or white with a teal logo. The shirts are available in mens’ or ladies’ cut in all adult sizes. If you would also like your first name embroidered on the shirt there is an additional $7 charge. 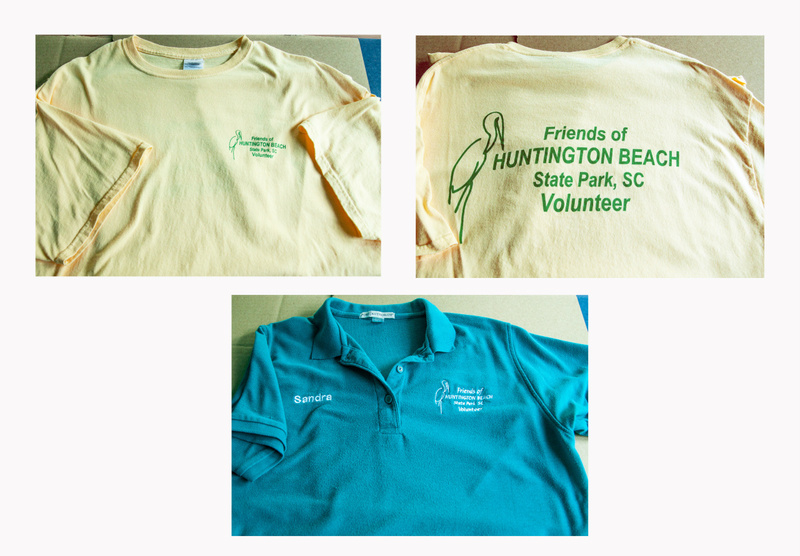 The Friends T-Shirt is yellow with our logo stamped on the shirt and also includes large lettering on the back(Friends of Huntington Beach SP, SC - Volunteer). The T-Shirt is available in all sizes and costs $10 per shirt. 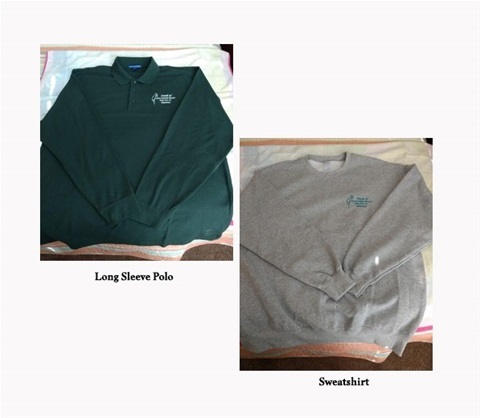 One is a pull over sweatshirt and the other is long sleeve polo. *The polo is a softer silk touch and has the white Friends logo. *The sweatshirt comes only in the Athletic Heather color. The sweat has the green Friends logo. The cost is $20.00 for the sweatshirt and $24.00 for the polo.